What Happens If I Do Not Experience Any Symptoms of My Injuries Right Away After My Car Crash? Many people who are injured in motor vehicle accidents do not realize that they were hurt for days or weeks after their crash. This is especially true if the accident was a more “minor” one, such as a rear-end collision at an intersection. So you should not be surprised if you felt basically fine except for a few cuts and bruises right after your accident, but began experiencing symptoms a few days or longer after it happened. There are a few reasons why you might not realize you have been hurt. Car accidents are exciting—not in a fun way—due to the stress of the experience. This can cause your body to produce more adrenaline and endorphins. These two chemicals give you more energy and mask the pain. When the effects of these chemicals wear off, you may begin to feel the aches and pains associated with your injury in the days or weeks after your accident. In addition, some injuries take longer to emerge. They may start out as a slow ache that you think will go away or a feeling that you are just not right. However, as your condition worsens, you can realize that you were hurt more than you first thought. Soft tissue injuries. Soft tissue injuries are strains, sprains, and tears to the tendons, muscles, and ligaments. Victims commonly suffer them in their backs, necks, and shoulders. The symptoms—pain, swelling, and limited mobility—may take days or weeks to show up. They can be difficult to diagnose because they cannot be seen on X-rays. However, they can require expensive treatments and cause long-term limitations in a victim’s life. Whiplash. 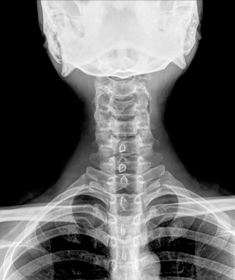 Whiplash is a very common type of soft tissue injury, which is a neck injury caused when the head is forcefully jerked forward and backwards. Symptoms could include neck stiffness and pain, blurred vision, headaches, shoulder pain, ringing in the ears, and dizziness. Whiplash should not be taken lightly because it can result in chronic pain and the need for long-term medical care when symptoms flare up. Concussion. Concussions are caused when the brain is jolted forward and backwards, striking the skull. These injuries can be very serious, and some of the symptoms include confused thinking, problems concentrating, blurred vision, nausea, dizziness, low energy, and difficulty sleeping. Traumatic brain injury. Traumatic brain injury is another brain injury caused by a jolt to the head. While the symptoms can take weeks or longer to emerge, they can cause devastating changes to an accident victim’s reasoning, memory, and emotions as well as cause problems with vision, hearing, and mobility. Other types of injuries are often apparent immediately after a crash, but in some cases can take days or longer for symptoms to develop. These include potentially life-threatening injuries like internal organ damage, internal bleeding, and brain hemorrhages. Your doctor can make a better determination as to whether or not you were in fact injured than you can. In addition, if you have a serious injury that is slower to develop, you could avoid a life-threatening situation if you see a doctor immediately. You are documenting your concerns about how the crash could have injured you when you see a doctor right away. This is still important if your doctor does not find anything wrong with you at your initial appointment. It can still significantly strengthen your claim for compensation. You defeat potential arguments if you seek prompt medical care. If you wait to see a doctor for days, weeks, or longer, the insurance adjuster for the negligent driver will most likely argue that the accident did not cause your injuries or that your injuries were not that bad. Do You Have a Claim Against the Negligent Driver If Your Injuries Don’t Show Up Right Away? If your injuries were not immediately apparent, you still have a claim for compensation against the negligent driver—even if you did not know to seek medical care right away. An experienced car accident attorney will have strategies to defeat the insurance company’s arguments about how this reduces the value of your claim. Call our firm today at 888-795-6261 to schedule your free case evaluation.